TanglePatterns.com TANGLE GUIDE, 2017 Edition is here! 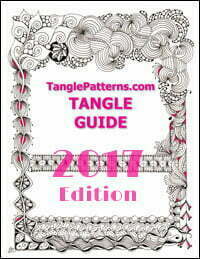 You’ve been waiting for it eagerly and I’m so pleased and excited to announce that the 2017 Edition of my TanglePatterns.com TANGLE GUIDE is now available for instant download in the Store! This SIXTH Edition of the Guide is revised and updated and integrates all of the tangles on the site from May 2010 through December 31st, 2016. This year’s TanglePatterns.com TANGLE GUIDE has grown to a 54-page (23 MB) PDF resource with all of the pattern images hot-linked to their post on this site. With her gracious permission, this year’s edition again contains a reprint of CZT Sandy Hunter‘s excellent article, A post with no pictures. Perfect to have this handy as a reference for you when you need it. Additionally I included several extra features and articles to make this an indispensable aid to using the site. To get your copy of the 2017 Guide, click the cover image above or go to the top menu bar on any page on the site and select the STORE > EBOOKS page. The entire download process is automated — when your transaction is successfully completed your browser will be redirected to another page containing your personalized download link. You must SAVE the document to your device before you attempt to open it or the file download will become corrupted. You do not have to open an account to use PayPal: after you click the cart button and update your cart, scroll down the PayPal page and look for the “Don’t have a PayPal account” section. You can use any credit or debit card. 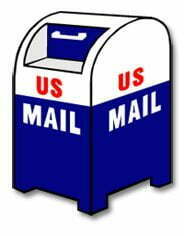 If you choose to pay with an e-check your download link will be emailed to you in 3-5 days when your check clears. A word about the alphabetic sorting of the tangles for those who are going to ask, especially the librarians and editors in the community. To simplify the sorting task I use Microsoft Word and its criteria for alphabetical sorting differs from that of other programs, including the software on the site itself. (And from the rules I learned.) But I go with Word as the path of least resistance and if you have quibbles with its sort order I invite you to take it up with Microsoft! If you have a blog or website I’d love it if you’d post a “badge” for my new Guide on it – see the bottom of the RIGHT sidebar for the code. A million thanks! And keep a backup copy in a safe place like a memory stick. Due to the frequency of requests to replace lost files and the personal time involved in handling these requests, lost files are not replaced free. Replacements for lost files can be ordered and downloaded from the STORE > EBOOKS page. 9 comments to TanglePatterns.com TANGLE GUIDE, 2017 Edition is here! Thank you so much for making this guide available. I look forward to it every year. I know that a HUGE amount of effort goes into maintaining this site and creating the guide. I truly appreciate it. I’ve added a donation to the cost of the guide and thank you once again for this wonderful gift. I will add your badge to my website. A wonderful guide and will be encouraging my students to make a purchase. I love my 2016 guide and thinking about getting 2017. It’s been the best book I have so far. It’s better than any zentangle book on the market! This book is totally with regard to wanting others to learn without any self-promotion or saluting their own works. Thank you Linda. We really appreciate you putting this together for us and maintaining it each year. It is so nice to receive the daily refreshers to stimulate our brains! Thank you, Linda!! I can only imagine the enormous amount of time and effort you expend just on putting the tangle guide together, not to mention the daily maintenance of tanglepatterns.com. Your efforts are noticed and appreciated. Thank you so much! And thank you Michele Beauchamp for creating original, beautiful, and inspirational Zentangle (R) inspired art to make the Tangle Guide a truly unique resource! Happy Tangling New Year!! Thank you so much, Linda! This has to be a HUGE undertaking, and this edition is even better than 2016’s edition. I think that this book and definitely your site, make all the difference in the world to making Zentangle so much easier to spread around. Thank you, again! And also, big thanks to Michele Beauchamp for her beautiful artwork in this year and last year’s editions. It’s a great combination, having Michele’s and Linda’s good work together, and Sandy’s too! Love the latest Tangle Guide and the addition of the quotes throughout! Thank you for putting this out each year and for maintaining this site.